We are closed for the season. Thanks to everyone for a fantastic winter. See you next ski season!! Check back here- to the blog through the summer for updates on projects at the Nordic Center,photos, etc. 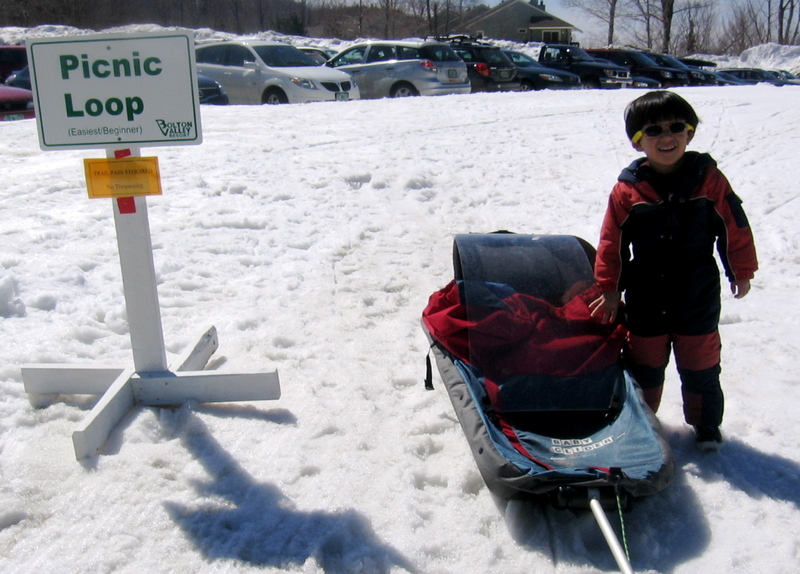 Hector enjoys the last day of the season- riding in the pulk (the cool sled) and skiing. 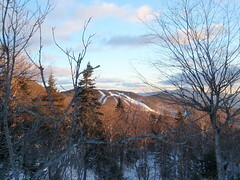 Great skiing and nice tracks to the end. Pond Skimming- Saturday was an exciting event. We saw lots of spectacular crashes, some amazing costumes and a couple skimmers even made it across!!! 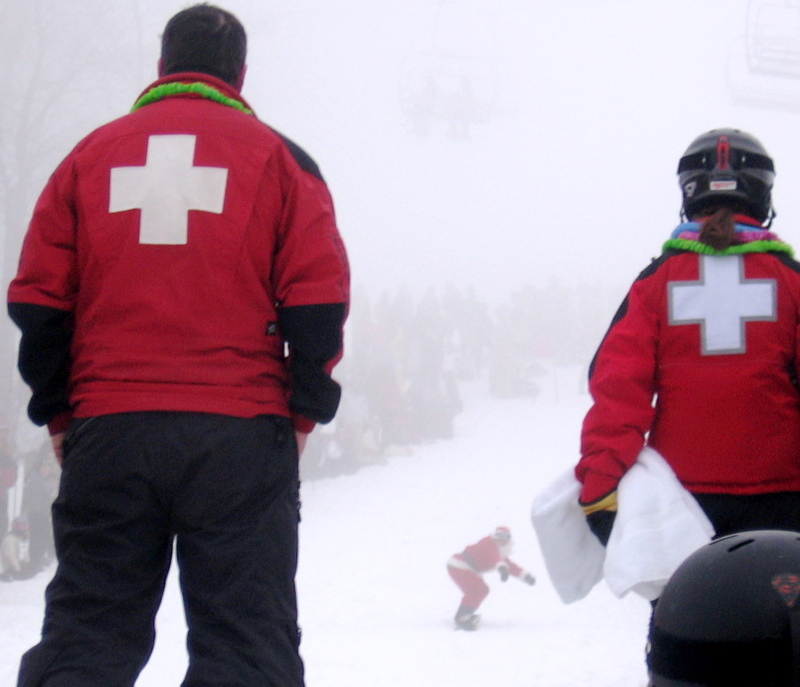 BV Ski Patrol working the side of the skimming pond- check out Santa on a snowboard in the background… seconds after I took this photo he made a spectacular crash!! Sunday: Bright sun, blue sky, 40 degrees at 8am— this is spring skiing. 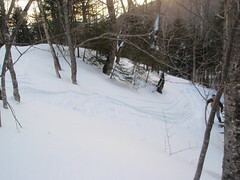 We have 100% of trails open and 25km classic tracked/ 30km skate groomed. It’s corn snow out there. Wax is klister. And remember Sale in the Nordic Shop– stock up for next season. Also Today is the last day for early season pass prices- Order now and SaVe!! Link here for the online season pass store or visit us today and purchase your pass. 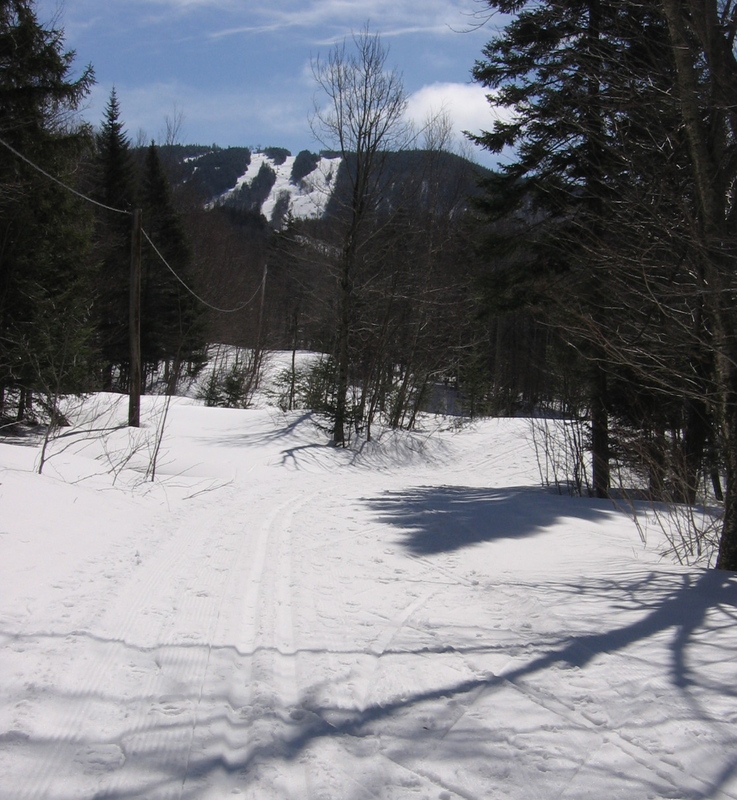 Saturday: We have 25km groomed for classic and skate. 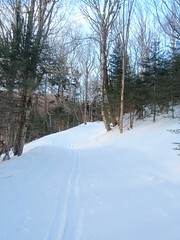 On the groomed trails the surface is loose granular. At 11am it is 35 degrees. It’s pretty foggy, but the clouds are forecast to lift in the afternoon. 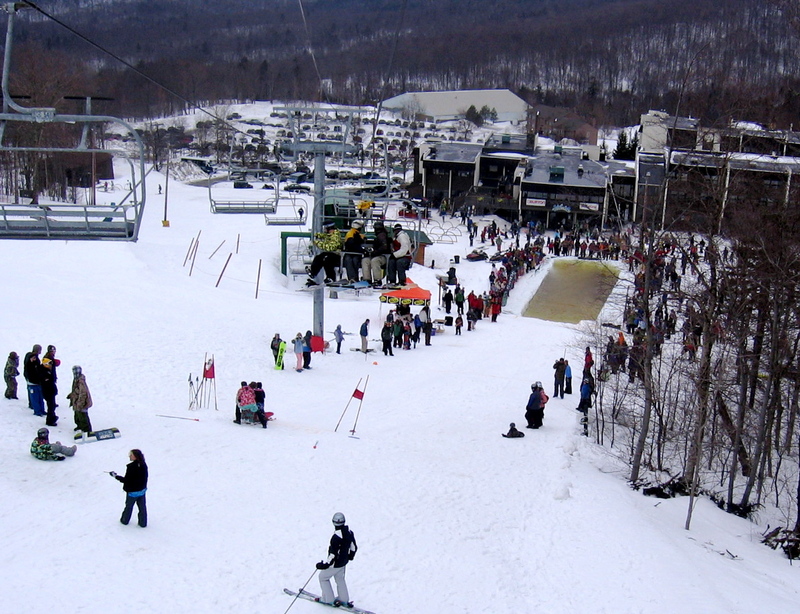 Pond skimming is happening at 1pm– come up for a quick ski, then watch pond skimming and enjoy the bbq. 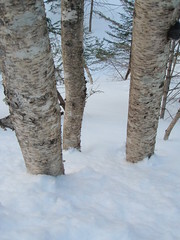 In the backcountry the Ski Patrol reports that there is granular and firmer up above Bryant Cabin… but very skiable.